Lenovo Group (HKSE: 992) (ADR: LNVGY) announced results for its first fiscal quarter ended June 30, 2016. Quarterly revenue was US$10.1 billion, a six percent decrease year-over-year (or four percent decrease in constant currency). Quarter-to-quarter, this represented a 10 percent increase. First quarter pre-tax income increased 297 percent year-over-year to US$206 million. Net income increased 64 percent year-over-year to US$173 million. Lenovo’s first quarter financial performance occurred during a period when the core markets saw either slow growth or year-over-year industry declines: PCs were down 4.1 percent and tablet shipments fell 11.1 percent, while server industry shipments were essentially flat with smartphone markets growing 0.7 percent. At the same time, the RMB continued its depreciation, capping overall growth potential during the quarter. In the Data Center Business Group, or DCG, which includes servers, storage, software and services sold under both the Lenovo ThinkServer and the System x brands, sales were US$1.1 billion, up 1 percent. DCG's reported PTI – which included non-cash, M&A-related accounting charges – was negative US$64 million with a pre-tax profit margin of negative 5.9 percent. DCG continues to face stiff challenges in mature markets, but it strengthened its #1 market share position in China, increasing revenue 14 percent year-over-year, driven by growth in the hyperscale business. DCG’s global accounts sales group, which services Fortune 500 clients, saw a 45 percent year-over-year increase in revenue, driven by a significant increase in customers who had not previously purchased from Lenovo. In China, consolidated sales in the first fiscal quarter, declined 9.8 percent year-over-year to US$2.9 billion, accounting for 28.4 percent of the Company’s worldwide sales. Pre-tax profit margins were flat at 4.8 percent amidst softening PC demand. The mobile business is successfully shifting the portfolio to higher price bands and improving user experiences, while the successful launch of the ZUK Z2 model received good initial market feedback. China data center revenues grew at 14 percent year-over-year – a premium to the market – supported by growth from hyperscale and contributions from the new partnership approach. Lenovo (HKSE: 992) (ADR: LNVGY) is a $45 billion global Fortune 500 company and a leader in providing innovative consumer, commercial, and enterprise technology. Our portfolio of high-quality, secure products and services covers PCs (including the legendary Think and multimode YOGA brands), workstations, servers, storage, smart TVs and a family of mobile products like smartphones (including the Motorola brand), tablets and apps. 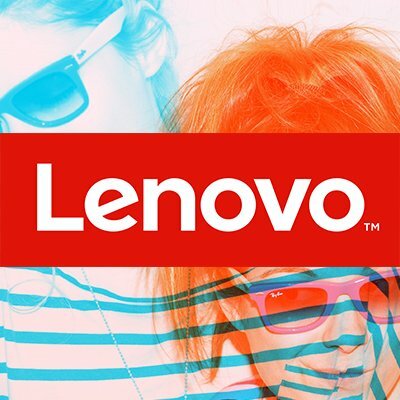 Join on LinkedIn, follow on Facebook or Twitter (@Lenovo) or visit at www.lenovo.com.